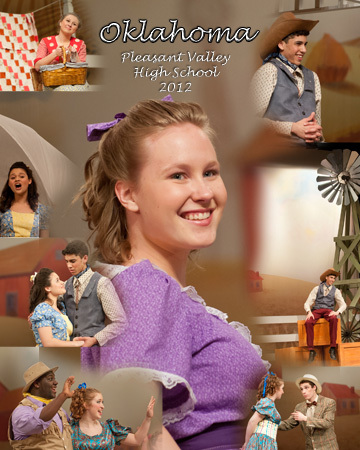 Our daughter, Lydia, performed in Oklahoma at Pleasant Valley High School this weekend. The musical was fantastic and extremely well done! Photographing theater is a definite challenge but one that I do enjoy. I attempt to capture the facial expressions and the passion of the actors. The lighting presents one of the biggest challenges both because of the lack of light and the requirement to shoot without flash. But I am learning to work with the light available in the different venues. 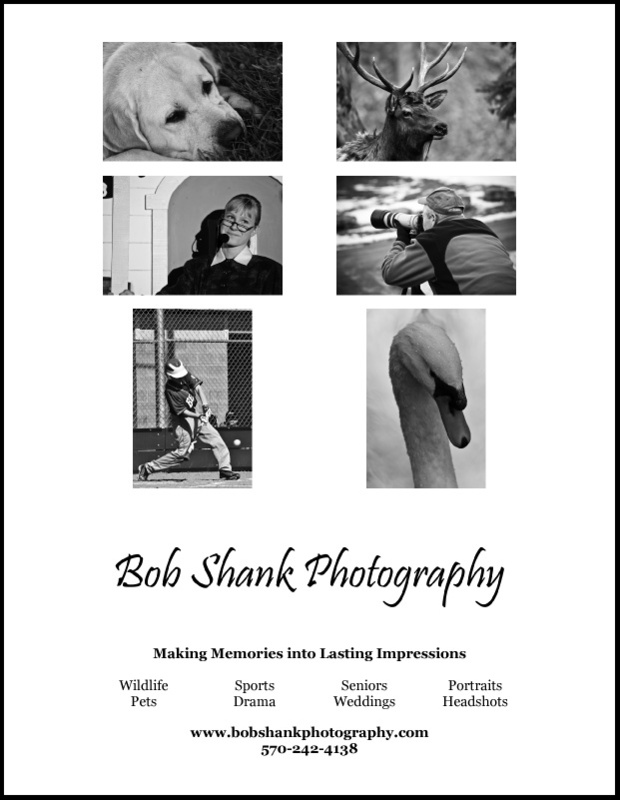 An f-stop of f/2.8 does help, so my preferred lens is the 70-200mm. This provides enough reach to create images of the actors that are full frame or thereabouts. Now capturing the action with my camera is only part of the equation. What do I do with these photographs? Well, lately, I’ve been honing my skills in Photoshop to create collages. These custom collages try to capture the story and emotion of the musical. The collage here is my first attempt to capture Oklahoma from Friday’s performance. What do you think of this collage? Does it tell a story? Does it capture the action of the musical? Lydia, our theatrical daughter, enjoys performing in community theater. Last weekend The Sherman Theater hosted Ragtime. The actors/singers/dancers in this musical were astounding! Their voices, expressions, and stage movement provided wonderful opportunities for photography. Now don’t think for a minute this was easy. No, the light wreaked havoc on exposure settings and the low-level of light blurred just about any movement whatsoever. Add to this the variant colors of the stage lighting and you begin to get an idea of what I was facing. Fortunately, I was able to capture some of the wonderful facial expressions of the actors and I believe the following photographs show at least some of this expressive drama. Photographs require light and light is the subject we are after many times. Light can make or completely destroy a photograph. I was shooting without flash, which wasn’t allowed and is a huge distraction for the actors, so available light was the only option. As you can see in these photos, the colors of the lights changed from red, to yellow, to blue. I found that darkening the background worked some of the time but it was a struggle to work with the available light and get images in focus. Even with my f/2.8 70-200mm Nikkor Lens, this was not possible much of the time. Facial expressions can also make a photograph successful and certainly help to tell the story and drama of the musical. Facial expressions are great and I believe the facial expressions in these photos make them work. What do you think?